The Lester Patrick Cup was emblematic of the professional Western Hockey League. 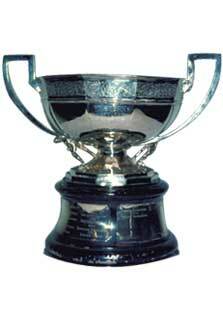 Originally, the Phil Henderson Cup was awarded from 1944-45 to 1950-51 to the playoff champions of the league. The Presidents Cup was then awarded to the playoff champions from 1951-52 to1959-60, and was renamed in 1960-61 to honour the late Lester Patrick following his death. The league originated as an amateur loop called the Pacific Coast Hockey League in 1944-45. The league turned professional in 1948-49 and changed its name to the Western Hockey League in 1952-53. It operated with teams in the Western United States and Western Canada until 1973-74 when it suspended operations.